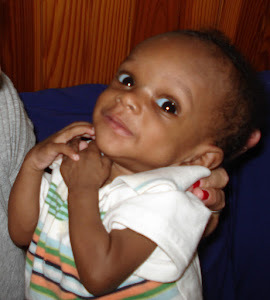 This is a photo that was taken of Titus when we visited him in Haiti for a week when he was 7 months old – weighing only 9 lbs. As you know, he died when he was 9 months old – and a task, a mission was born in our hearts to care for more children like him. 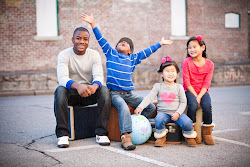 With each of our adoptions our hearts have been increasingly broken for children around the world. We have been personally grieved and forever impacted by the effects of a preventable cause of death and we know your lives have been changed too. 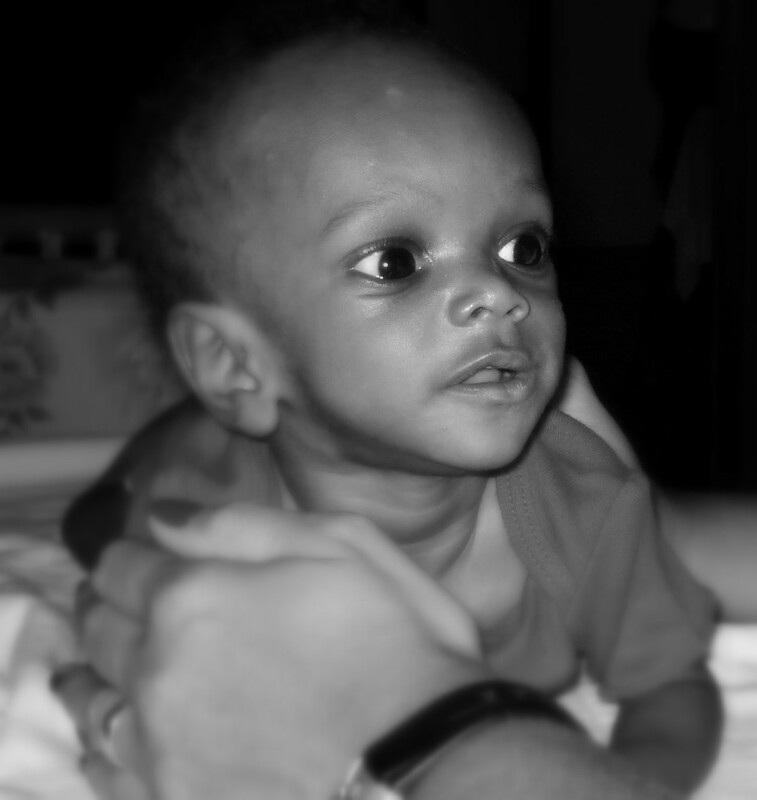 When you hear the statistics of one child dying of malnutrition every few seconds in the world – one of them was OURS. This is why we desire to seek Jesus’ justice for the hungry and oppressed in Haiti. It is Titus’ Task…it is our task. Over the past 2 years we have wondered off and on if God would allow us the opportunity of loving His people in Haiti. We are really excited to tell you – He has made that clear and we are planning to spend this next season of our lives in Port au Prince. As a family we are passionate about discipleship, the ministry of presence, prayer, and standing for FAMILY – as well as Kingdom adoption and orphan care through adoption. We have big dreams about all God will teach us as a family and how He may work through us to love others and we believe in our BIG God to accomplish anything He sets forth. We know He does not need US in Haiti – but we want to be part of what He is doing. In 2007, after Titus died, we had the vision of Haiti being restored and leaned heavily into the promises of Isaiah 58 – for God to use Haiti’s neighbor – the USA to relate to the country – to love our neighbor, for God to restore the streets with dwellings, and for His people to rejoice as they worship our God that redeems! We have repeatedly asked God to DO THIS in our lifetime and believe He has started His NEW thing there! We have been in close contact with our friend, Wes Gardner, since the first of the year. You may remember him as the one who was carrying the baby around at the welcome home party for Louis. We hadn’t been in contact with him much in 2011. In January this year, Noel and I spent a week praying about what God would have for our family as far as Haiti is concerned. 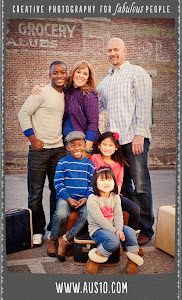 Just hours after we had decided to pursue living in Haiti, unless God showed us otherwise, Wes called us. He has also continued to have the people of Haiti on his heart and had decided to pour his resources into the country. We have been in close contact with him since then and have come to the conclusion that God was calling us all to work together with an organization called Outside the Bowl. The kids are all very excited! We are tuned in to each of their feelings – what they think will be difficult and how they are processing what God has called our family to do. It will be a time of great learning for all of us – it won’t be easy, but it will be an incredible gift – and we know there is NO safer place than to be than in the will of God. This decision has come after years of prayer – Noel and I believe that we were born for this and we are thrilled to partner together to be the hands and feet of Jesus in Haiti and wherever else He calls us. We are working closely with Wes to develop a strategy for wrapping up our business, etc here. Our plan right now is to have an initial commitment of 18 months with OTB. We will sell most of our possessions – cars, home, etc. We will keep some things in storage of some sort – and some business equipment for the possibility of having another PT business in the future. There are a lot of unknowns, but we are putting one foot in front of the other – walking in step as the Holy Spirit directs us. Our timeline right now – which of course is subject to change – is to be in Haiti at the beginning of 2013. We sure wish we would have been able to tell each of you this in person – but really didn’t know many details until very recently. Our whole family loves each of you so much – we will greatly miss you while we are gone! We are on the adventure of a lifetime! Please pray with us and for us!